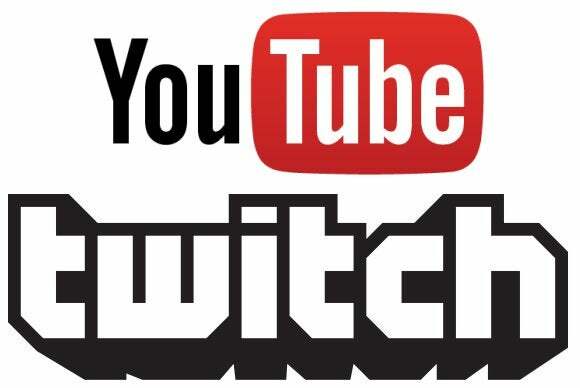 Over the weekend, news broke that Google is in talks to snap up Twitch.tv, the popular games streaming service, possibly for as much as a billion dollars. The Internet, with its characteristic Zen calm and tempered "wait-and-see" reaction to all things news, immediately coined the hashtag #RIPTwitch to complain about the deal. Let's get this straight: Twitch is not a good service. Twitch was never meant to grow as big as it is—the fourth-largest source of traffic on the entire Internet. Twitch needs help. Twitch is the de facto standard for games streaming not because it's an incredible platform, but because it's the only platform of any real merit. That's not to say it's bad. Heck, when YouTube's most recent copyright robot scandal exploded I suggested that if Twitch started allowing users to simply upload game-related videos (professionally produced Let's Plays and the like) it would start siphoning all that traffic away from YouTube. And I stand by that. The problem is Twitch can't handle that sort of site. It can't even handle the site as it stands now. It's important to remember that Twitch started as a small, games-related subcategory on Justin.tv. Then, in some sort of chicken-and-egg relationship, Twitch and the eSports community built each other into a massive phenomenon that rents out the Staples Center for professional gaming events and boasts 1.8 percent of the U.S. Internet's traffic at peak hours. The craze grew so big, in fact, that Twitch swallowed up its parent company, Justin.tv, back in February. Twitch integration is baked into the Xbox One and PlayStation 4 consoles, which has caused the service's popularity to skyrocket even more. But like a number of other start-ups that have grown exponentially, Twitch can't handle its popularity. Neither developers nor video streaming technology comes cheap! Twitch's live video quality is abysmal, even on the best settings—and despite looking like garbage, Twitch has a tendency to lag. Twitch's mobile apps are subpar, especially when it comes to user interface. And Twitch management still has to deal with issues like this, left over from a time when it was a much smaller company. Yes, investment cash could help Twitch build out for the long haul, but beyond the $1 billion, Google offers already-established infrastructure. Google offers money to actually pay livestreaming gamers, and lots of them, instead of the 4,000 or so Twitch Partners currently getting paid. Google offers (presumably) full YouTube integration, so there would be no more need to archive a video on Twitch, download it, and then upload to YouTube—an archaic and awful process people endure because they know the real money is made through YouTube and not Twitch. And most importantly, Google offers an enormous audience—the type of audience that probably doesn't even know what Twitch.tv is. That means more streamers can build a following, more viewers can behold the spontaneous creativity of the likes of Twitch Plays Pokemon, and there's more incentive for third-parties to invest in creating "make my life easier" streaming tools, be it open-source software like OBS or premium products like Fraps. You want legitimacy for game streaming? This is legitimacy. It's not a perfect solution, by any means—I have serious misgivings about YouTube's spotty record with copyright issues, and the possibility of needing a Google+ account to use Twitch. No, a perfect solution would be Twitch building up its own infrastructure and offering legitimate, long-term competition to YouTube. I'm just not convinced Twitch has the money to undertake such a gargantuan task, and jumping straight to #RIPTwitch for partnering with a company that can move mountains that size? Well, that's an overreaction. 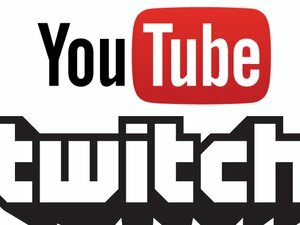 If Google or another interested party didn't step in, Twitch would likely be killed off in time, no matter how popular it is with the Dota 2 crowd. It would just die the slow, screaming death of a service whose back is breaking under the weight of its own popularity before another service with more funding and more robust infrastructure—you know, one like YouTube—came along to put an end to its existence.